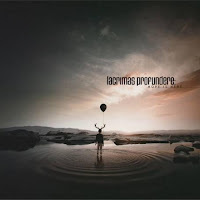 For their 11th full-length, Lacrimas Profundere seem to have emerged from the stagnancy of middle-of-the-road Gothic arena rock to produce a sound slightly more compelling, if not entirely vacating the safe zone in which they'd survived for many years. Rather than the predictable, driving guyliner chord progressions, I honestly had no idea what was coming around the bend at any point on this disc, not because it's wildly dissonant or unique, but because it just seems to open up and breathe, to let the band put its ideas to tape without forcing them into corners. Where prior records had offered a slight variation on the accessible Gothic metal common in the Euro countries like Germany and Finland, Hope is Here recalls a hybrid of modern Anathema and elegant British veterans The Mission, with a few flourishes of anything from prog rock percussion to edgy country/folk noir. It works, and it works fairly well. While the band is still not writing the knockout choruses you'd really need to carry this style into a broad audience, the production is rich and vibrant, the tunes always possessing some interesting undercurrent, and despite how easy it might have been, you can still see a few glints of their heavier, more metallic, chugging roots shining through the emphasis on cleaner strings, pianos, scarce electronics, and subtle orchestration used as an ambient motif to backup the central rock fundamentals that hold up the tunes. Nothing is really off the table, with a track like "My Halo Ground" producing a Middle Eastern vibe through the instruments that steer it, or the title track which is very much a big acoustic/orchestra piece which really feels like you're that kid in antlers staring out over the horizon on the cover. The band knows when to lay into their big chords at precisely the right moment, and they tender those sequences with simple, added melodies. Rob Vitacca reminds me a lot of a mix between Wayne Hussey and Ville Vallo, limited in range but really expressing himself better here than on most of the Lacrimas records I've experienced. The beats are also pretty impressive, using interesting patterns to keep even, simpler, airier moments like the verse of "Aramis" a lot busier than you'd expect, and it pays off once the chorus arrives. Hope is Here is more or less a modern, Gothic rock infusion of the Moody Blues, just right for those moments driving on an open road or lying under an expansive sky and seeking something that can encapsulate the experience with just the right, moderate level of pacing and depth. Production here is scintillating, thorough, and amazing, and goes a long way to creating compulsion for even the most vapid riffing they might add to it. 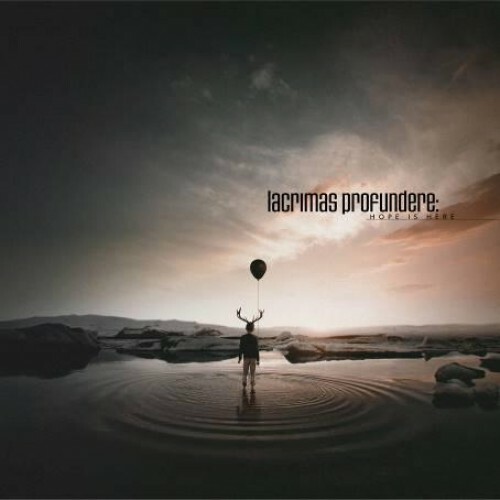 Lacrimas Profundere have found a way to translate the emotions already present in much of their earlier material to something that is more refined and rewarding, and even if this puts them in a less traveled space where bands like Anathema have divided up their own followings, it takes a lot more guts and dedication than churning out yet another bland effort like Antiadore or Songs for the Last View...not that either of those was an expressly bad record, but they were too easily lost in a crowd of bands that focused in on a sound which was extremely hot for a few seasons and then sort of dispersed, still practiced but never really mastered by anyone who hasn't taken it into a heavier, dirtier Christian Death/Sisters of Mercy direction. This is a good album, and a good place to build from as we follow that balloon across the cloudscape.